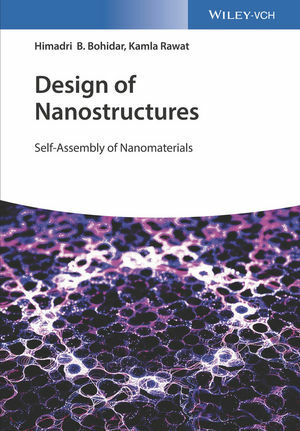 Adopting a unique approach, this book provides a thorough, one-stop introduction to nanoscience and self-assembly of nanomaterials composed of such materials as metals, metal oxides, metal sulphides, polymers, and biopolymers. Clearly divided into three sections covering the main aspects of nanoscience, the first part deals with the basic principles of nanoscale science. Alongside essential approaches and forces, this section also covers thermodynamics, phase transitions, and applications to biological systems. The second and third parts then go on to provide a detailed description of the synthesis of inorganic and organic nanoparticles, respectively. With its interdisciplinary content of importance to many different branches of nanoscience, this is essential reading for material scientists, physicists, biophysical chemists, chemical engineers, and biotechnologists alike. Himadri B. Bohidar is a Professor in the School of Physical Sciences and Special Centre for Nano Sciences at Jawaharlal Nehru University in New Delhi, India. He received his Ph.D. in Physics from the Indian Institute of Technology Delhi, in New Delhi, India. Since 2012, he has been the Chairperson of the Special Center for Nanosciences at Jawaharlal Nehru University, which is a collaboration of different schools, actively pursuing research that encompasses many aspects of nanoscience and technology. Prof. Bohidar's main research areas are polymer physics, molecular biophysics, soft matter physics, and nanostructure assembly. Kamla Rawat is a Department of Science and Technology, Government of India, INSPIRE Faculty member, at the Inter University Accelerator Center, in New Delhi, India. She received her Ph.D. in Physical Chemistry from Jawaharlal Nehru University, in New Delhi, India. Between 2012-2016 she has been actively pursuing research that covers many aspects of nanoscience and technology. Dr. Rawat's research interests include soft condensed matter, low-dimensional architectures, nanosciences, supramolecular self-assembled systems, and bio-inspired green chemistry.